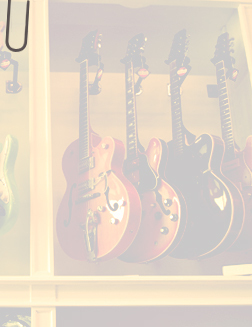 We are your store for fine new, used and vintage musical instruments. WE BUY / WE SELL - We buy and sell all models and brands of guitars, basses, pedals and amplifiers, as well as drums, keyboards, and accessories. INSTRUMENT LOCATION SERVICE - Black Market can work with you to find any instrument you need, worldwide, so you can create your sonic vision. 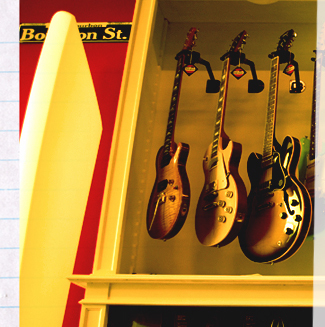 SET-UP / REPAIR - We offer stringed instrument set-up and repair services. INSTRUMENT RENTAL - We offer instrument rental on a daily, weekly or monthly basis. TAKE A TEST DRIVE - Come to our showroom location in Rosa', Vicenza and test out any item, no hassles. Flamiano will fix you up with his special dark roast espresso – you can't say “no”.